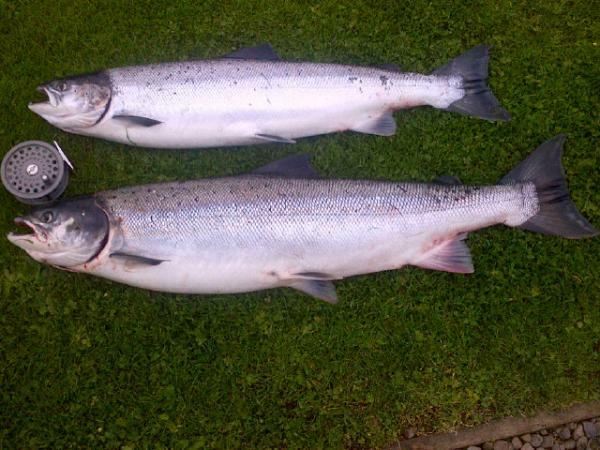 A brace of salmon caught nr Birgham Friday 3rd Aug, including one at 18lb. Thank you Iain Thomas for sending in the image. This entry was posted in Uncategorized and tagged Angling, Birgham, fishing, FishTweed, River Tweed, salmon, season 2012, Tweed, Tweed Valley. Bookmark the permalink.